Sarah Kaler is helping to create leaders through her philanthropic endeavors: "We believe in a world where everybody has opportunity, where stepping into one's potential as a leader is a birthright." 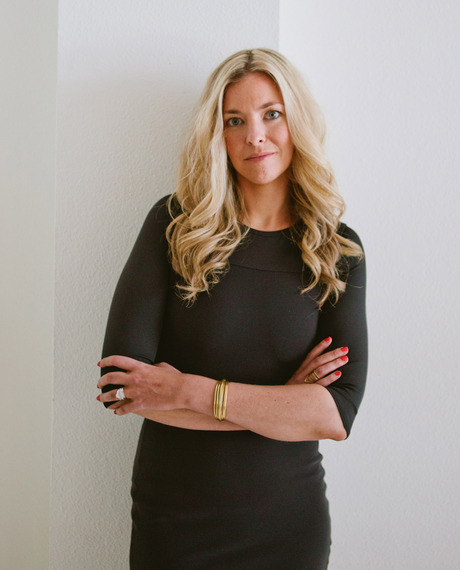 In her Huffington Post blog post entitled "My Biggest Leadership Win," she talks about her believe that "leadership is a lifestyle, a way of being..." When she was forced to abandon her dazzling entrepreneur-gone-corporate career due to severe health challenges, she made a conscious and impassioned decision to create a company that was going to stand for leadership in the world. That company is called SoulPowered.com and through it, Sarah helps women entrepreneurs lead by example, be a force for good, and live on their terms. She and her team also work with two non-profit organizations to provide leadership development across the globe. The Africa Yoga Project has trained hundreds of Kenyans in Nairobi to become yoga instructors. Sarah worked with founder Paige Elenson to develop a five-year mentorship program that participants follow while moving through their teacher training. They are taught job skills, entrepreneurial skills, and leadership skills so that they are not only learning how to teach yoga, but also how to become self-sustainable in the world. "They learn how to start their business and how to run it, how to work on a team, how to make proposals, how to do marketing, I mean everything." Because leadership development is essential as part of the Africa Yoga Project, Sarah personally serves as a mentor for leaders in Kenya. The content that she and the SoulPowered.com team created for the mentorship program supports the development of mentors from around the world who volunteer to work for the program. Her team has revamped the entire program, which is developing both mentors and mentees in their own unique leadership capacities. Sarah describes the Africa Yoga Project as not only a vehicle to health, but also a vehicle to peace. Instructors who successfully complete the program teach yoga all over Kenya and now travel to other countries in East Africa and even to South Africa. It's incredible what they are doing, and the bottom line is they have given the opportunity for hundreds of hundreds of human beings to have jobs, and education. They've empowered people in a way that is some of the most incredible leadership development I've experienced in my whole career. I get so excited about this, especially coming from the context of being such a supporter of women entrepreneurs. Developing the next generation of women leaders is where my passion is! Sarah works directly with Ashley Turner, founder of the Farmhouse Project, on building the organization's business model and planning how Ashley can work directly with the women in the program. For each operation that the Farmhouse Project undertakes, she and Turner decide what the desired outcome is and work together to accomplish it. For Sarah, the most important thing about her involvement in these projects is the active role that she plays in moving them forward. "I didn't start out thinking, 'I'm just going to take some of my income, 10% of my income, and send it to a large organization.'" She relishes the personal contact and the knowledge that through her leadership, mentorship and content design -- essentially contributing what she does best -- she is helping other people bring their vision to life. To listen to Sarah's Ultra You podcast interview: "Creating Leaders through Philanthropy," click HERE.